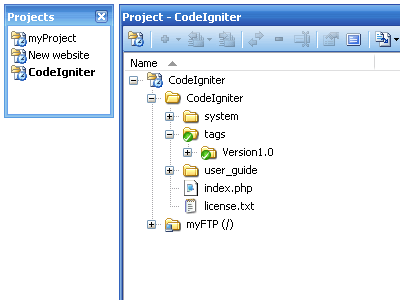 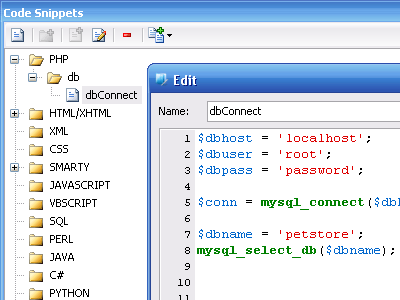 With phpDesigner 8 it is easy to start on a new or existing file or project. 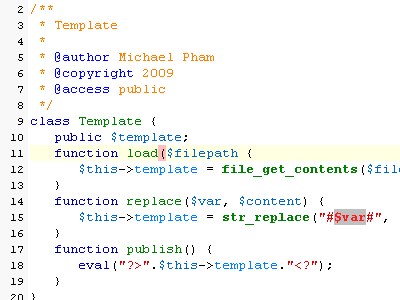 Both projects and files from last session are automatic loaded. 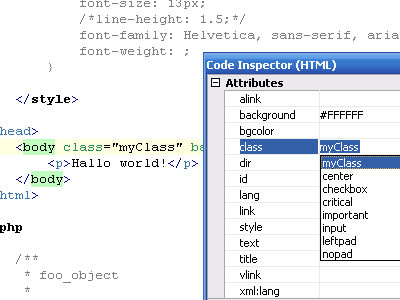 Filter all the listed classes, functions, variables, constants, extends classes, interfaces and included files listed in the code explorer. 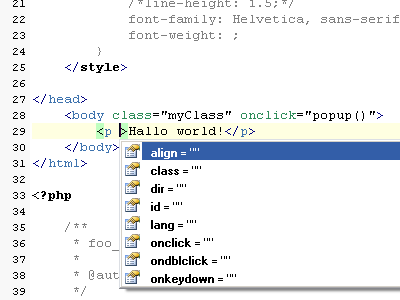 phpDesigner 8 will help you completing your PHP functions as you type. 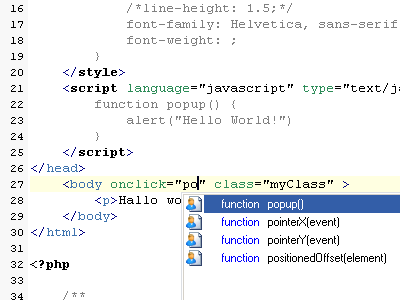 The code completion in phpDesigner 8 will assist you as you type including working with classes. 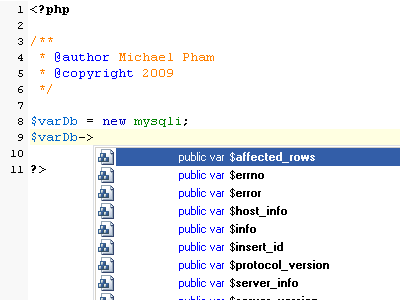 The code completion for PHP support working with object oriented programming (OOP). 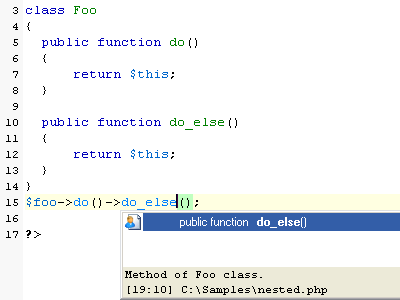 The code completion in phpDesigner 8 supports support for working with nested PHP objects! 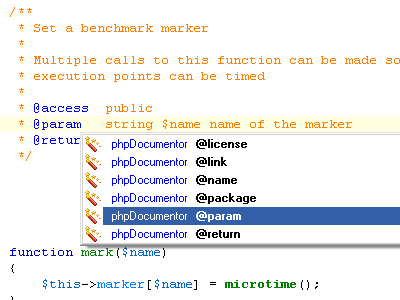 phpDesigner 8 even comes with a code completion for phpDocumentor tags. 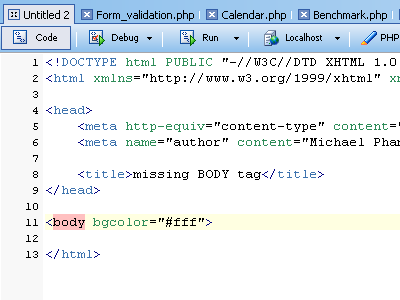 phpDesigner 8 can suggest you missing HTML/XHTML tags. 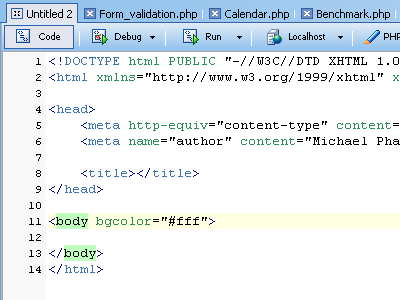 phpDesigner 8 now comes with support for embedded the code completion for CSS inside HTML code. 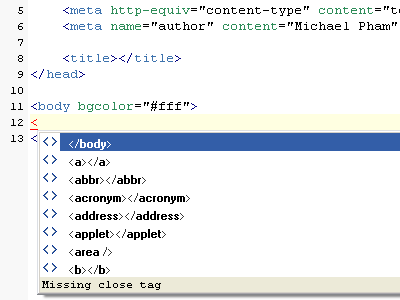 Use the code inspector to edit the supported attributes for the selected HTML/XHTML tag. 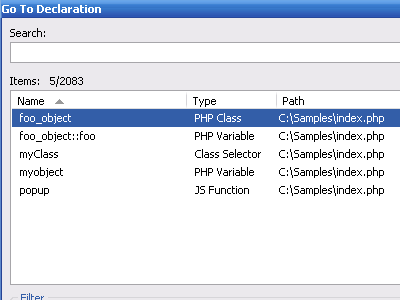 Search all declarations such as classes, implements, functions, variables and constants listed in your file or in your project including your frameworks! 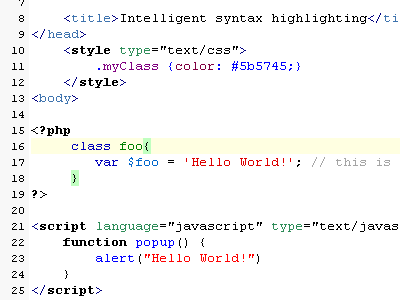 Go to your declarations in an intuitive way! 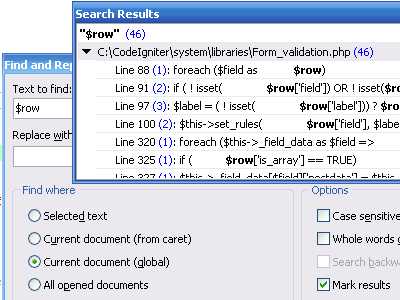 Search and go to any opened files or files located in your project in an intuitive way! 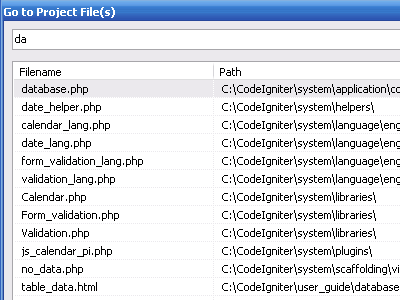 You can work with projects in phpDesigner 8 with support for both local and remote files including support for all known PHP frameworks. 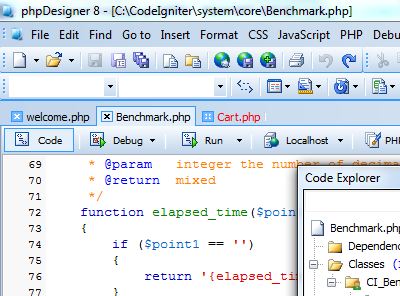 phpDesigner 8 supports debugging with Xdebug. 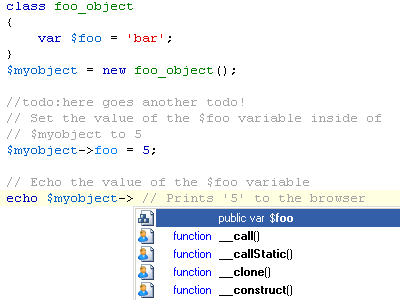 Debug with Xdebug allows the programmer to analyze, evaluate and find errors in the code line by line. 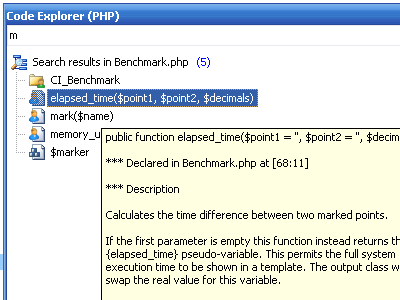 Evaluate and test expressions in your PHP scripts. 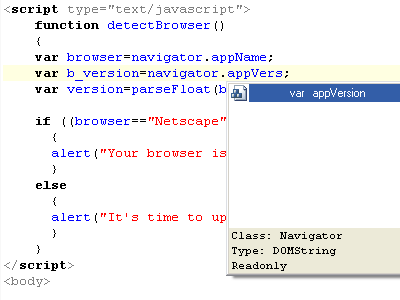 Manipulate variables direct during a debugging session. 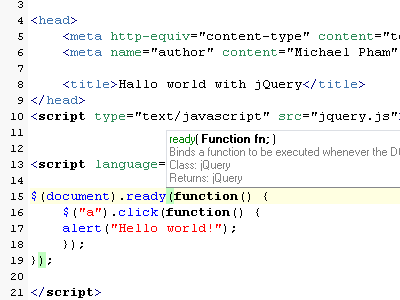 Manipulated or injected variables will affect the value of the variable when the execution of the script continues. 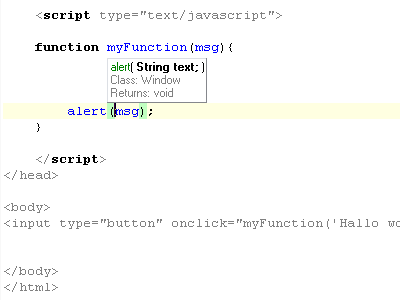 Move the cursor upon variables during a debugging session to see their value(s). 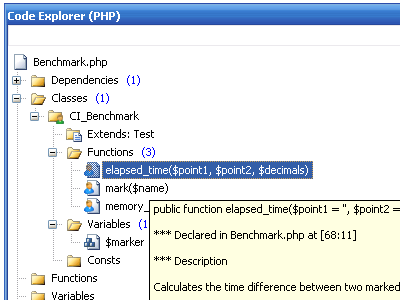 phpDesigner 8 support Xdebug's profiler which allow you to analyze your code and determine bottlenecks or generally see which parts of your code are slow and could use a speed boost. 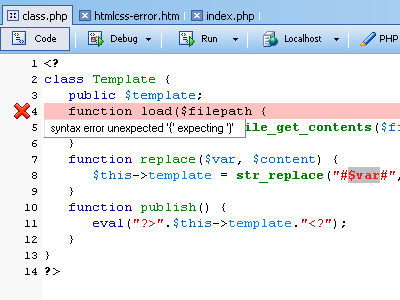 Catch errors found in your PHP scripts during the debug session. 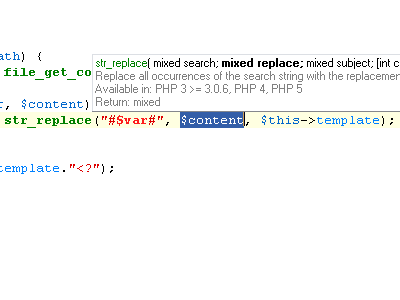 Catch and solve errors in your PHP scripts as you type with information about what is wrong in your code. 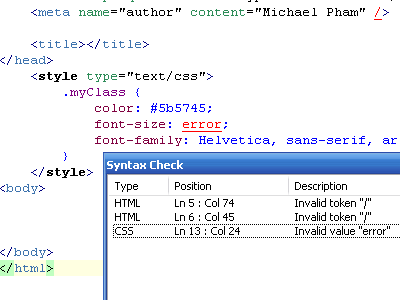 Support for real-time syntax check for both HTML and CSS with information about what is wrong. 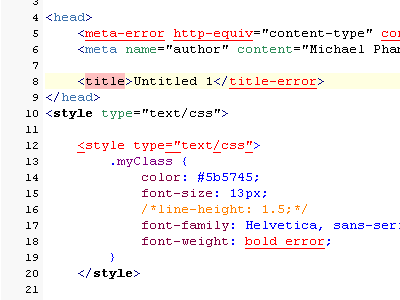 Overview of syntax errors for HTML and CSS. 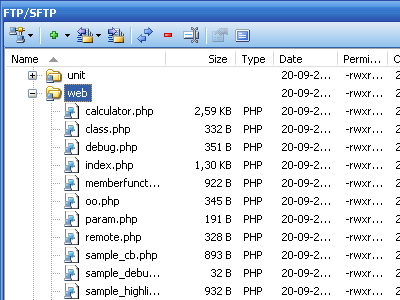 phpDesigner 8 comes with remote FTP/SFTP editing including support for saving files directly back to server. 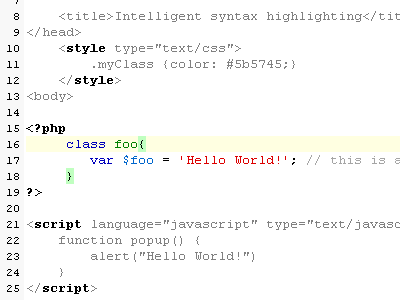 Find and highlight missing HTML tags in your code. 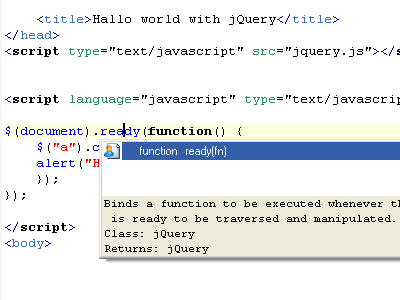 Search and replace in files, directories and projects with support for regular expression and wildcards. 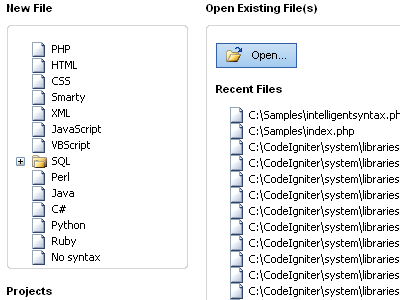 phpDesigner 8 comes with a code snippet manager that let you easily build up your personal collection of code snippets and organize them. 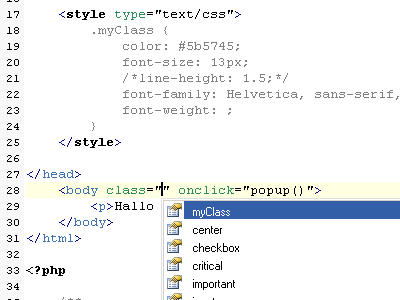 Support for creating own folders for your code snippets. 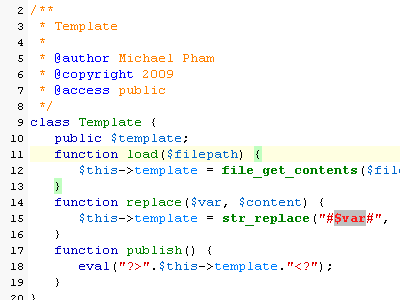 Code snippets in phpDesigner 8 can be easily shared around other developers.